Of all the types of durable and versatile fences available today, none are so favorable as wrought iron fences. Whether seeking a privacy fence installation, a security fence or a fence installation that looks attractive, an iron fence is a great consideration for most homes when installed by a professional fence company.Therefore, when thinking of contacting a local fence company to discuss good fencing options, consider the various benefits outlined below for choosing a beautiful and strong wrought iron fence! One of the most notable things about wrought iron fencing is that due to the way it is made, it can be worked into beautiful and ornate designs. There is a lot more to this type of fencing than simply bars, as wrought iron can be found in various patterns and shapes that are more like works of art, than just a fence. Whether installed by itself, or with hedges or other types of plants growing inside the fence line, wrought iron can make any property or landscape look regal and artistic. Where aesthetic appeal is concerned, wrought iron has been a favorite among fence installations by fence companies for centuries! Wrought iron is one of the strongest materials currently used for fencing today. 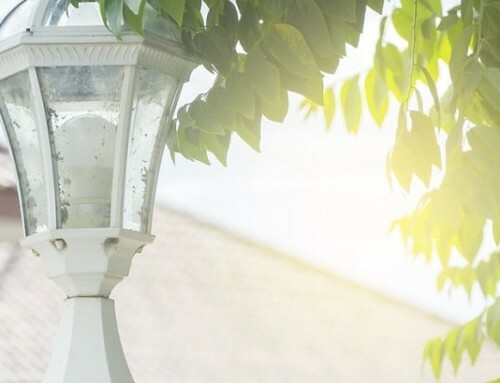 Since it is normally welded, and either installed in cement, or affixed onto other strong posts - like concrete or brick - iron fences are very hard to damage, and long lasting. With proper care, a wrought iron fence can last close to 100 years. Due to this extreme strength and durability, a wrought iron fence installation by a skilled fence company is suitable where security, and the ability to withstand minor damage is important - such as boundary fences to keep kids and pets in, and trespassers out. Depending on the design, and how they are installed, wrought iron fences are also great as a privacy fence installation, and as security fences. 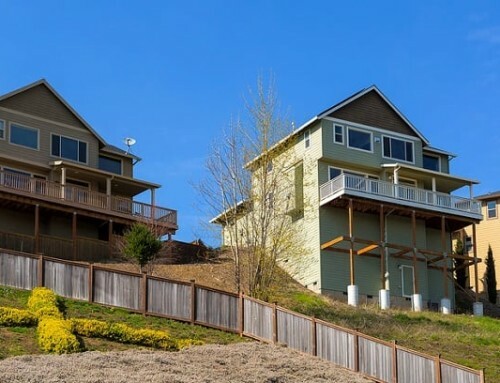 They can be erected tall enough to make scaling difficult, and patterned iron fences can also block out view from a distance, creating some privacy. Many choose to use iron fencing with hedges, small pine trees, vines or other foliage planted just inside the fence line for a more private setting, as well. 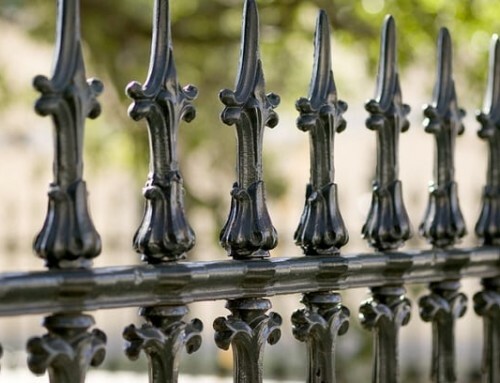 Another benefit to wrought iron fences is they require very little maintenance. The only care this type of fencing needs is painting every few years, and cleaning with a wire brush and repainting in areas where light corrosion may begin. 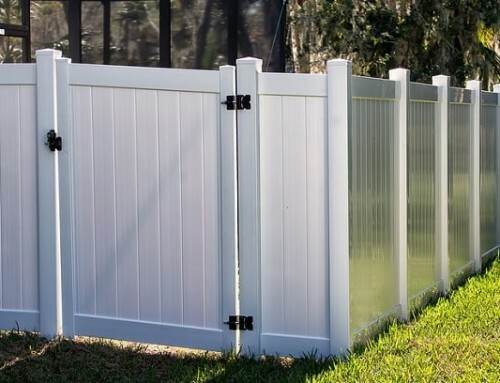 Additionally, damage can be repaired by removing bent or broken bars and welding new ones on, without having to take down entire sections of fence. A bonus benefit of wrought iron fencing is that it is recyclable in numerous ways. Older fences are highly collectable as ornamental decorations, garden fencing and other artistic pieces. Also, due to its durability and longevity, wrought iron is a very green type of fencing material since it lasts so long. Lastly, when an iron fence is taken down, the metal can be melted down into something else, so it never has to end up in a landfill. Even if it does, it is biodegradable, and will eventually rust and become part of the soil. While there are many other reasons why some might be interested in a wrought iron fence installation by a local fence company, these are some of the more notable ones. Wrought iron is beautiful, versatile and long lasting, whether as a privacy fence installation, a security fence, or a decorative and stately property boundary. For more information about what styles and types of iron fences are available locally, contact a fence company that is experienced in these types of fences, and can properly install them so they will last for decades to come! Want A Good Fence Company In College Station? Aggieland Fence Offers The Best Fence Installation! Let Them Help You - Call (979) 431-5013! Fencing - Inspecition, Maintenance, and Repair! If Looking At Fence Types - Choose the Right One! By |2019-04-16T17:06:36-05:00January 12th, 2016|Fence Company in College Station TX, Fence Services in College Station Texas, Fences in College Station Texas, Fences in College Station TX|Comments Off on The Useful Benefits of Beautiful Wrought Iron Fences!